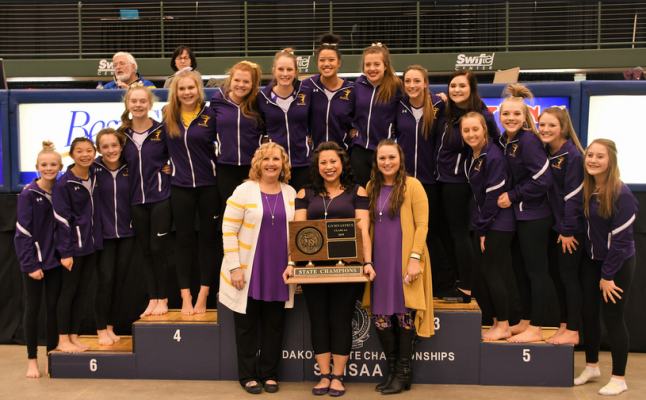 Watertown won the Class AA Gymnastics team title Friday. BROOKINGS, S.D. - The Watertown Arrows captured the Class AA State Gymnastics title at the state meet in Brookings Friday night. Watertown placed first with 147.225 points. Mitchell was second with 144.500 and home team Brookings captured third. Deuel ran away with the Class A title with 143.625 points. Parkston/Ethan/Hanson was second with 132.950. The individual competition for both classes is being held Saturday.